MAHINOG, Camiguin, May 17 (PIA) — Uban ang tema nga, “Awareness, Collaboration and Moving Forward,” ang Department of Science and Technology (DOST)- Camiguin Provincial Office bag-ohay gipahigayon ang Disaster Risk Reduction and Management (DRRM) Forum sa Queobe Training Center, kung asa gipakita ang mga resulta sa gitun-an sa Manila Observatory diin ang Camiguin nag-una sa mga probinsiya nga risgo sa katalagman sa kinaiyahan. Si Provincial Science and Technology Director- Camiguin/Senior Science Research Specialist Miriam A. de la Plaza niingon nga kaning mga kalihukan nga panag-uban sa local na kagamhanan sa Guinsiliban ug Mahinog kay parte sa Community Empowerment thru Science and Techonology (CEST). Gisaysay usab ni Angelo Bang, residente nga volcanologist sa Philippine Institute of Volcanology and Seismology (PHILVOCS) Hibok-Hibok Volcano Observatory Station, nga ang Camiguin nag-una sa mga probinsya nga risgo sa volcanic eruptions ug ika-nuwebe sa mga lugar nga risgo maigo ug tsunami. “Camiguin has the highest risk because the land area is so small such that a volcanic eruption can affect the whole province (Ang Camiguin mao’y pinakadakong risgo tungod kay gamay ra ang land area niini busa maapektuhan na ang tibuok probinsiya kung mubuto ang bulkan),” ingon ni Bang. Iyang gipahibalo nga dapat nakaamgo ang mga Camiguingnon sa lugar diin aduna’y mga volcanic hazards lakip ang mga steam blasts, glowing avalanches, lava flows ug lahar. Nihisgot pud siya nga atong mga niagi nga tuig, aduna na’y dagko nga pagbuto gikan sa taluktok sa bulkang Hibok-Hibok human gisundan kini ug usa ka semanang lagiting nga linog. Mao dapat ang mga Camiguingnons kanunay andam kung mausab ang panghitabo. Sa parte ni Engr. Anianita Fortich sa Philippine Atmospheric Geophysical and Astronomical Services Administration (PAGASA) gipasabot niya nga ang hydrometeorological hazards nga gaapekto sa probinsya nasinati adtong Nobyembre 7, 2001 diin kusog ug wala’y undang and ulan sulod sa 10 ka oras. Kini nagresulta sa mga flash floods nga gadala ug landslide debris gikan sa bato, naibot nga kahoy, nahilos nga yuta gikan sa bukid nga nagtabon sa 134 ka buhi nga residente ug nagdaot sa mga gulayon ug istraktura. Sa man-made calamities, si FO2 Sherwin Borres sa Bureau of Fire Protection (BFP) Mahinog Station nagsaysay sa mga butang nga dapat buhaton kung duna’y sunog ug kahilwason nga mga sukod nga dapat sundon sa opisina. Iya usab gipakita ang sakto nga pamaagi sa pagdumala kung duna’y hungaw ang liquefied petroleum gas (LPG) sama sa pagpahimug-at nga ang LPGs dapat nasa gawas kini aron kung na’y aso aron magtipok sa usa ka tuob na lugar nga mao’y makaingon ug sunog. MAHINOG, Camiguin, May 17 (PIA) — With the theme, “Awareness, Collaboration and Moving Forward,” the Department of Science and Technology (DOST)- Camiguin Provincial Office recently held the Disasters Risk Reduction and Management (DRRM) Forum at Queobe Training Center, here, noting the results of Manila Observatory study where Camiguin is one of the top provinces at risk to natural disasters. Provincial Science and Technology Director- Camiguin/Senior Science Research Specialist Miriam A. de la Plaza said that such activity, which is in partnership with the local government of Guinsiliban and Mahinog, is part of the Community Empowerment thru Science and Technology (CEST). Angelo Bang, resident volcanologist of the Philippine Institute of Volcanology and Seismology (PHIVOLCS) Hibok-Hibok Volcano Observatory station emphasized that Camiguin ranked one in the top provinces at risk to volcanic eruptions and ninth in at risk to tsunamis. “Camiguin has the highest risk because the land area is so small such that a volcanic eruption can affect the whole province,” Bang said. He also shared that people should be aware of the volcanic hazards in the area which include steam blasts, glowing avalanches, lava flows and lahars. Bang said that years ago, the large explosion from the summit crater of Hibok-Hibok volcano was preceded by a week of intense earthquakes. 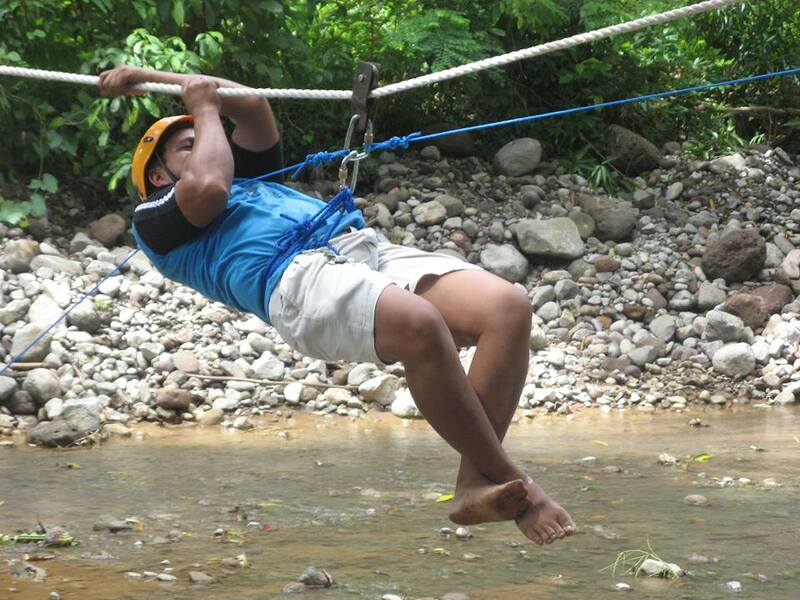 Hence, Camiguingnons should be fully equipped during such occurrence. For her part, Engr. Anianita Fortich of the Philippine Atmospheric Geophysical and Astronomical Services Administration (PAGASA) explained the hydrometeorological hazards affecting the province saying that it was on November 7, 2001 when Camiguin experienced heavy continuous rains for about 10 hours. Such has caused flash floods carrying landslide debris of boulders, uprooted trees, loose soil, rushing from the mountainside burying 134 residents alive and damaging vegetation and structures. As for man-made calamities, FO2 Sherwin Borres of the Bureau of Fire Protection (BFP) Mahinog Station shared the things to do during and after fire as well as the safety measures that should be observed in the office. He also demonstrated the proper way of managing leaked liquefied petroleum gas (LPG) and stressed that LPGs should be placed outdoor so that the fume will not accumulate in an enclosed area. Homes and establishments should also observe testing and proper maintenance of all equipment such as ensuring that there is no leak in the hose. “This will cause the fume to spread out, delikado madakpan sa kalayo (this is hazardous for it can cause fire),” he explained. CAGAYAN DE ORO CITY, October 22 – Haze due to forest can cause air pollution which can bring about increased risks for respiratory tract infections and cardiac ailments. According to the Department of Health (DOH), haze contains dust, smoke particles and air pollutants such as sulfur dioxide, nitrogen dioxide, ozone, carbon monoxide and particulate matter. Haze is a slight obscuration of the lower atmosphere, typically caused by fine suspended particles. It is a result of an aggregation in the atmosphere of very fine, widely dispersed, solid or liquid particles or both in relatively dry air, giving the air an opalescent appearance. Increased in the levels of particulate matter is generally expected during forest fires. As a result of the small particulate size, these particles can go deep into the lungs and in some cases, enter the bloodstream. Particularly, matter whose diameter is less than 2.5 micrometer (PM2.5) can penetrate right into the small air sacs in our lungs when inhaled, thereby posing the highest health risk. Short term exposure to particles (hours or days) can aggravate lung disease, causing asthma attacks and acute bronchitis and may also increase susceptibility to respiratory infections. In people with heart disease, short term exposure can be linked to heart attacks and arrhythmias. The health effects can be further classified into local and systemic effects. Local effects can result in eye, nose and throat irritation. People with history of sinus problems or sensitive nose are more likely to develop nasal congestion, sore throat and coughing. There may be increased incidents of skin irritation as well for eczema or other skin conditions. Systemic effects such as asthma attacks, bronchitis or worsening of heart diseases are more serious effects of air pollution. Also, there have been suggestions that long term exposure to air pollution may rise to increase risk of cancer. Per state weather bureau, PAGASA (Philippine Atmospheric, Geophysical and Astronomical Services Administration), during the 6thRegular Meeting of the Regional Disaster Risk Reduction and Management Council (RDRRMC)-X Technical Working Group,Mindanao is experiencing since October 18 a haze caused by the smog of Indonesia’s wildfire which also continues to affect Singapore, Thailand, and Malaysia. The southwesterly winds drove the smog toward Mindanao where the haze became visible in most parts of the island, particularly in the north and northeastern. Meanwhile, DOH advises the public what to do during haze. For elderly, children and those with respiratory–asthma, chronic obstructive pulmonary disease (COPD) and cardiovascular diseases, stay indoors with good ventilation; wear appropriate dust masks when going outside the house; refrain from physical activities (exercise, etc) in heavily polluted areas. Motorists, on the other hand, should exercise extreme caution whenever on the road to prevent accidents by using headlights/foglights; follow the required minimum speed level and extreme caution in low, visibility driving; and ensure that vehicle is in good running condition. Further, stay away from low-lying areas where smoke and suspended particles may settle. MAMBAJAO, CAMIGUIN, April 15 (PIA) — Following the regional launch of the Disaster Preparedness Manuals dubbed “Operation Listo,” DILG here convened agencies, local government units (LGUs) and cluster leaders to start gearing up for their provincial plan. DILG Camiguin OIC Provincial Director Rubicon Ceasar U. Agcopra said the convergence helped strengthened the commitment among stakeholders and aid the development of a suitable plan essential to the fulfillment of the Listo Movement. The gathering also facilitated the election and organization of Disaster Risk Reduction Management Officers (DRRMOs) Federation at the provincial level. 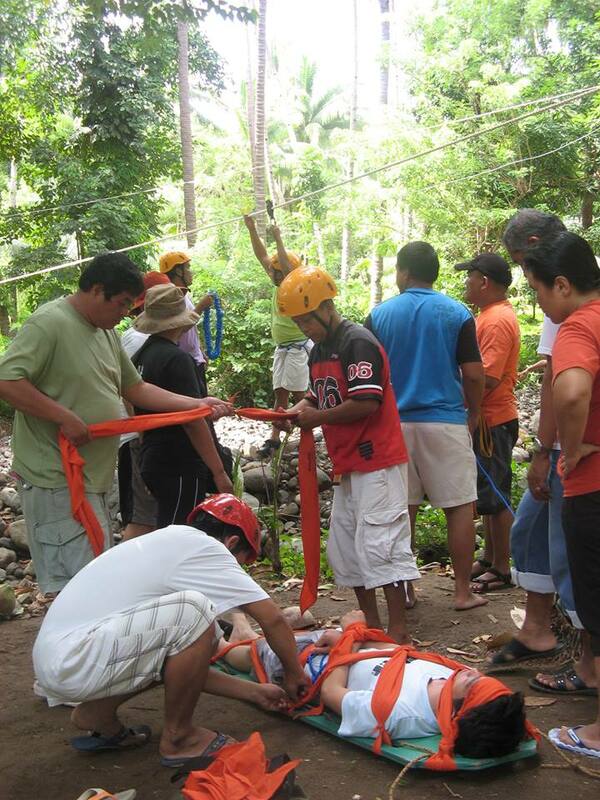 MAMBAJAO, Camiguin, September 16 — The Provincial Disaster Risk Reduction Management Camiguin Council conducted a 10–day training workshop on Basic Life Support (BLS) at five municipalities in the province on August 30 to September 8, 2014. Dr. Luis S. Bollozos, provincial chair of the PDRRM-Camiguin said the workshop aimed to revisit and reorient the accredited responders of the Municipal Disaster Coordinating Council (MDCC) on the Basic knowledge and tools on Community-Based (DRRM) and to equip themselves on the Basic Guidelines on Disaster response embedded in the Philippine Disaster Management System. A total of 145 participants compose of responders from the Municipal Disaster Risk Reduction Management, Rural Health Workers, School Disaster Risk Reduction Management Coordinators, identified Barangay Officials participated in the training workshop. 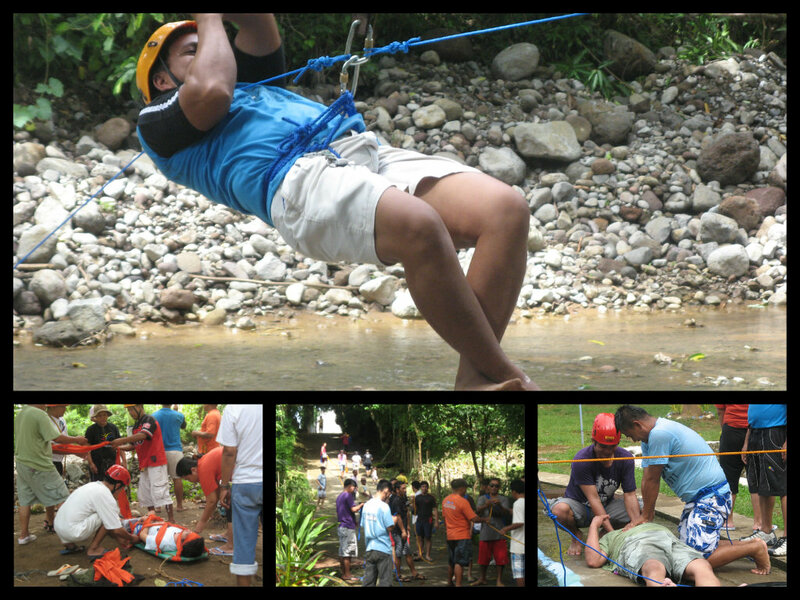 The training workshop also served as way to participants to be acquainted and learn the required skills on rescue and retrieval operations cause by man-made and natural calamities and debriefing management styles for the victims of the said calamities. MAMBAJAO, CAMIGUIN, January 14 (PIA) – A low pressure area affecting Mindanao and Visayas triggered too much rains causing flood water to enter houses, buildings, and runway. Latest report from the Provincial Disaster Risk Reduction Management Council (PDRRMC) shows some 7,381 families and 34,373 persons affected in Mambajao Town. Flashfloods and stream overflows already affected 12 barangays here since Saturday, January 11 up to press time. Included in the list of affected barangays are Naasag, Yumbing, Agoho, Bug-ong, Kuguita, Baylao, Poblacion, Pandan, Balbagon, Magting, Benhaan, and Tupsan. Timayog Bridge in Lawigan, Catarman was also destroyed by floodwaters and remains impassable, while the concrete bridge in Lumad, although accessible, is still under assessment for possible damage. Main pipelines in Catarman were also washed out, affecting the water supply distribution in some four barangays in the municipality. 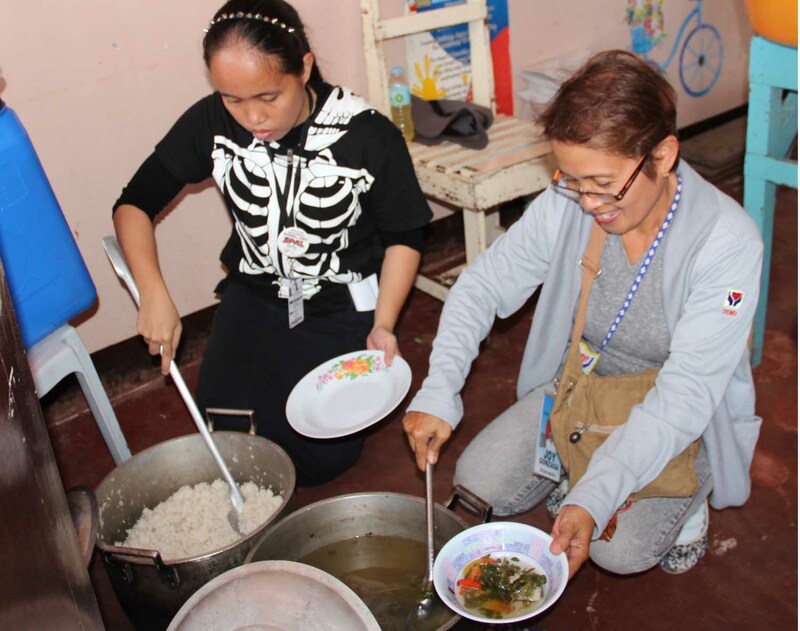 MAMBAJAO, CAMIGUIN, December 12 (PIA) – The provincial government here eyes on organizing and training volunteers, next year, to man the community kitchens in times of calamities. 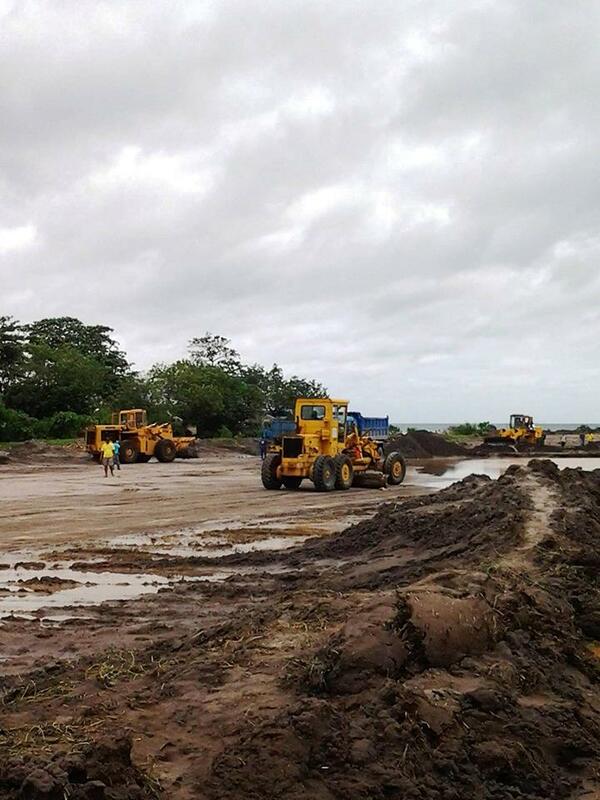 The local government unit intends to harness at least 25 community volunteers for each of the identified evacuation sites around the province. Social Worker Zenaida M. Cainglet said the team will automatically man the evacuation centers and take charge of the goods downloaded by the local disaster risk reduction management council (DRRMC), facilitating an orderly flow of food and goods inside the evacuation site. To date, there were about 49 identified evacuation centers in the island that are expected to be served. MAMBAJAO, CAMIGUIN, August 13 (PIA) – Emergency response teams around the province will undergo five days basic life support- cardiopulmonary resuscitation (BLS-CPR) and ropesmanship training, as well as, volcanic eruption, flashfloods and earthquake drills. This activity is undertaken jointly by the provincial government together with the respective municipal local governments. Provincial Planning and Development Office (PPDO) Chief and Provincial Disaster Risk Reduction Management Officer (PDRRMO) Felicisimo M. Gomez said this will be carried out on separate schedules, by municipality and will be participated by representatives from each barangays, schools and the DRRM task force. The training, he noted, will also take up disaster risk reduction & climate change adaptation (DRR & CCA) management. Furthermore, the training also aims to re-organize/organize municipal disaster risk reduction council (MDRRMC), task force and its response team.